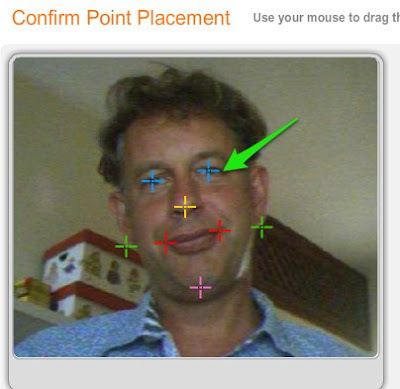 PhotoFace is a novel way to get your students talking, recording themselves and creating fun speaking images for class or homework assignments. It's very simple to use. 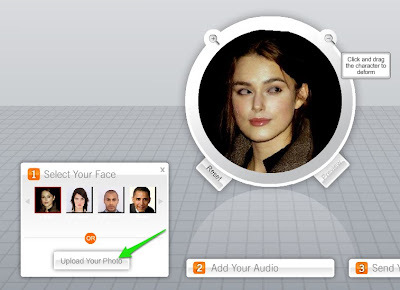 You can either upload your own image or use an image provided by the site. You need to drag the position of the crosses so that they are over the features of the face. Once you have done this you can alter the emotion of your image and click on the face and drag parts of it if you want to distort it. Once the face image is ready you have a choice of ways to add audio. This can be done by adding a pre-recorded file, using text to speech or recording from your microphone or telephone. 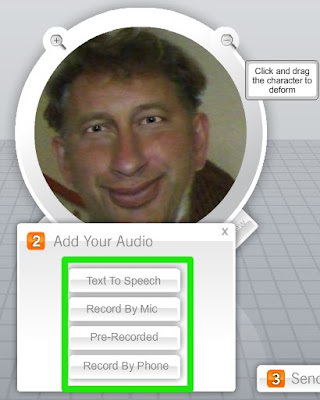 If you use your microphone make sure you allow the site access it, then just click on record. You can record, listen and re-record as many time as you choose until, you get it right. I was actually very impressed with the sound quality. Once you have finished recording you simply need to email the link to the image to yourself or get your students to email the links to you. I also created a speaking sea shell using the text to speech: Sea Shell. So you don't have to stick with just images of people. This is a great way to get your students to submit short speaking assignments to you by email. You can ask them to talk on a specific topic or give their opinions on on discussion tasks or contentious issues. It's quick easy and free, just a shame there is no embed code to enable you to put the talking heads into web pages or blogs. I hope you enjoy playing with this and that your students get a lot of speaking practice with it.